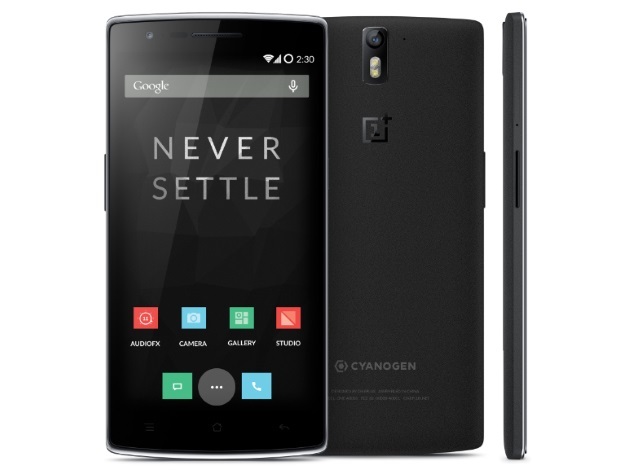 The much awaited Android 5.0 Lollipop-based Cyanogen OS upgrade for the OnePlus One (Review | Pictures), which was supposed to arrive last month, will be rolling out to OnePlus One users within next few days – announced the company. The Chinese smartphone manufacturer’s co-founder, Carl Pei, on Twitter replied to a user that the CM12S update for the OnePlus One has already passed company’s certification process and that the roll out is expected to begin within next few days. Notably, the CM12S update for the OnePlus One was supposed to roll out by March 30, while the company’s own custom ROM based on Android 5.0 Lollipop – OxygenOS – was supposed to roll out on March 27. However, the company missed both deadlines, and had blamed certification as the reason for the delay. OnePlus finally rolled out out the Lollipop-based OxygenOS custom ROM earlier this month, leaving users only waiting for CM12S. Over and above vanilla Android 5.0 Lollipop, the initial build of OxygenOS offers three major differentiators – support for the OnePlus One’s gestures controls including off screen gestures like double tap to wake and camera shortcut; customisation in terms of lock screen wallpapers, choice of hardware and software navigation keys, and a customisable quick settings screen; as well as a new file manager. Last month, Pei responded to a user query on Twitter to confirm that OnePlus users in India will receive the much-awaited CM12S update over-the-air. Beyond the Lollipop-based CM12S update however, things still remain dicey for Indian users of the OnePlus One smartphone, with the availability of Cyanogen OS updates in India the biggest bone of contention between Micromax subsidiary Yu Televentures and OnePlus. Micromax’s Yu brand has in the past claimed “exclusive OTA firmware updates and support in India” – but is yet to make good on it, much to the delight of OnePlus One users in India.